National police chief Pol Gen Chakthip Chaijinda has left for France in what is reported to be a new effort to seek help from the Interpol to secure the extradition of former assistant abbot of Wat Sampanthawong in Bangkok, Phra Prommethi, from Germany. It was the commissioner’s second trip in less than than two weeks in a bid to take custody of Phra Prommethi, also known as Phra Jamnong Iem-Indra. 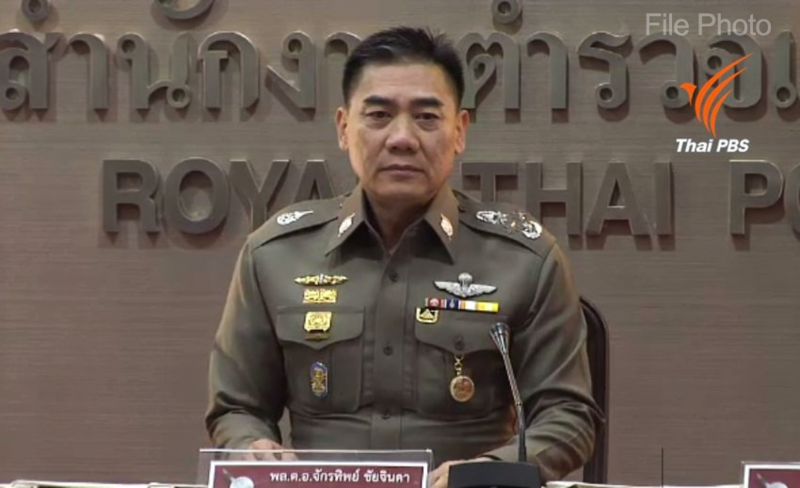 The national poluce chief flew out of the country on the night of June 10 on Thai Airways flight TG 930 from Suvarnabhumi Airport to Charles de Gaulle Airport in Paris, France. The priority of this second trip is said to be seeking of help from Interpol, which is headquarters in Lyon, France, to help the Royal Thai Police take custody of the fugitive monk. If this is achieved then it is likely that the police team will then fly to Frankfurt, Germany, to formally petition for the extradition of Phra Prommethi, who now has formally sought political asylum in Germany. The commissioner is scheduled to return on June 16. But another source said the mission of the police chief had nothing to do with the fugitive monk. He flew to France on an invitation by the French police chief to participate in an arms and ammunition expo, the source said.